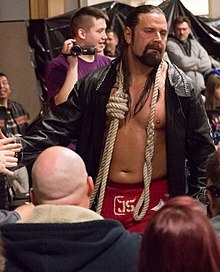 On January 5, 2016 episode of Impact Wrestling, Storm returned to TNA, helping his long-time tag team partner Bobby Roode fight off Eric Young and Bram, before reuniting as Beer Money, Inc, after Storm telling Roode that he wanted to "get back to having fun" and drink beer with him, turning Storm face in the process. At One Night Only: Live! event, Beer Money defeated Eric Young and Bram and once again at Lockdown in a Six Sides of Steel match, thus ending the feud. On the January 26 episode of Impact Wrestling, Storm grabbed the TNA World Tag Team Championship briefcase during the Feast or Fired match. On February 9 episode of Impact Wrestling Beer Money attempted to cash in their title shot against champions The Wolves, but in their attempt to cash in, Decay (Abyss, Crazzy Steve, Rosemary) stopped them and mysteriously asked them to join their path. They eventually challenged the group to a match, but it ended in disqualification when Abyss pulled the referee out of the ring and began choking him. 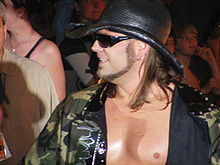 Beer Money cashed in their Feast or Fired contract and defeated The Wolves to re-capture the titles on the March 8 episode of Impact Wrestling. They successfully retained their titles against The BroMans on the March 22 episode of Impact Wrestling and against Decay, The BroMans and Eric Young and Bram on the April 12 episode of Impact Wrestling. Their feud against Decay culminated at Sacrifice in a Valley of Shadow match, which Decay won, winning the TNA World Tag Team Championship. 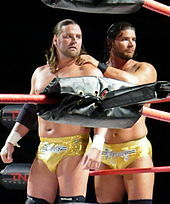 In late-March, Beer Money were disbanded upon Roode leaveing TNA.